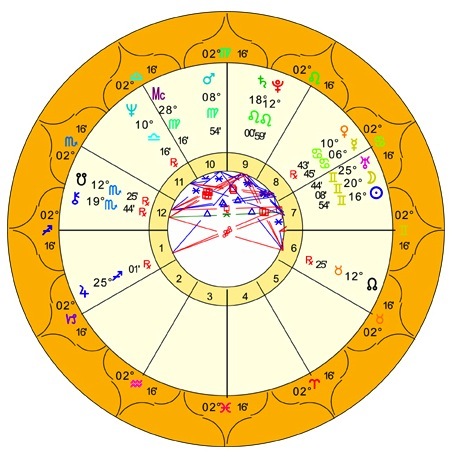 The Faculty of Astrological Studies was founded at 19.50 BST on 7th June 1948 in London, England. 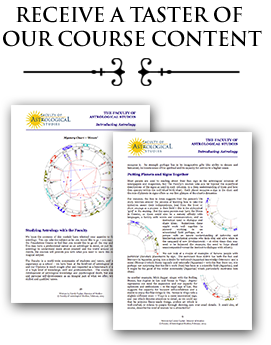 The image on the right shows the FAS birth chart. The Faculty's aim then and now is to raise the standard of astrological education. Since its establishment, the Faculty has become known worldwide as a first class astrological teaching body and its Diploma, the D.F.Astrol.S., is among the most highly valued and recognised international qualifications for the professional astrologer. Over the years more than 10,000 students from over 90 countries have enrolled on the Faculty's courses, and many of the world's leading astrologers are or were Faculty Diploma holders, such as Liz Greene, Charles Harvey, Julia Parker, Melanie Reinhart and Howard Sasportas. Click here for a list of Alumni. Fellows of the Faculty include Sue Tompkins, Clare Martin and Carole Taylor, and honorary Diploma holders include Rob Hand, Darby Costello and Nick Campion. The Faculty’s courses are comprehensive and flexible, guiding you from the very beginning of your astrological studies right through to professional qualification at Diploma level. You can study by Distance Learning via Email, at London Classes, through Online Classes, and at the Faculty’s annual Summer School. As a teaching and examining body, the Faculty’s team of dedicated, experienced tutors, all of whom hold the Faculty’s Diploma, are devoted to teaching astrology to students all over the world. We hope you will join us as a student. Learning astrology is immensely rewarding and, whether your studies are for personal enjoyment or with a view to becoming a professional astrologer, we are sure you will be fascinated by the richness and depth of the new world which will emerge as you embark on this inspiring journey. The Faculty is a Founding Member of the Advisory Panel on Astrological Education, an independent non-profit making body constituted by the major Astrological organisations and teaching bodies in the United Kingdom. The Faculty is a Company Limited by Guarantee and abides by these Articles of Association. The Faculty of Astrological Studies is registered in England & Wales and its Registered Number is 7383335. Its Registered Office is Boldero & Company, Ivy House, The Market Place, Reepham, Norwich NR10 4LZ. Please do not use this address for correspondence. All correspondence should be sent to: The Faculty of Astrological Studies, BCM Box 7470, London, WC1N 3XX. John M. Addey, M.A., D.F.Astrol.S.